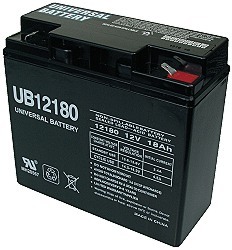 Browse for batteries by vehicle make and model. 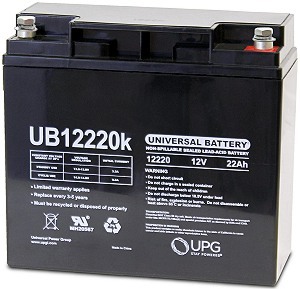 For Lithium batteries visit the LiFePO4 Batteries page. 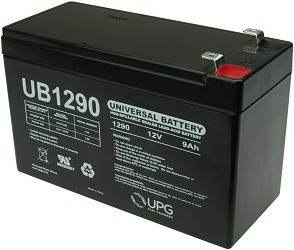 For power chair batteries visit the Mobility Scooter Batteries page. 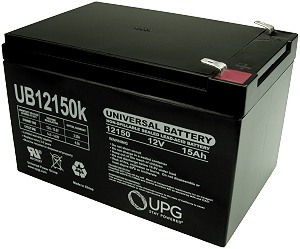 For pre-wired and pre-assembled battery packs visit the Battery Packs page. 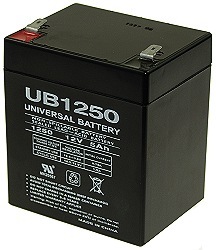 Replaces all similar sized 12 Volt 4Ah, 4.5Ah, 5Ah, and 6Ah batteries. 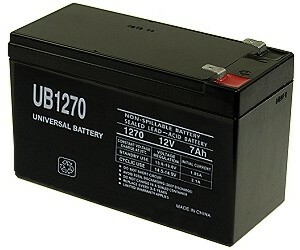 Replaces all similar sized 12 Volt 7Ah and 7.2Ah batteries. 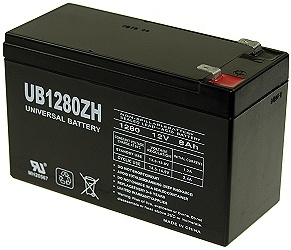 Replaces all similar sized 12 Volt 7Ah, 7.2Ah, 7.5Ah, 8ah, 8.5Ah, and 9Ah batteries. Replaces all similar sized 12 Volt 7Ah, 7.2Ah, 7.5Ah, 8ah, and 8.5Ah batteries. Replaces all similar sized 12 Volt 9Ah and 10Ah batteries. 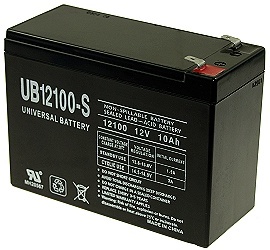 Replaces all similar sized 12 Volt 10Ah, 11Ah, and 12Ah batteries. 12V/12 Volt 18Ah/Amp Hour electric scooter, bicycle, and go kart battery. Nut and bolt connector posts. UL® approved. Includes 12 Month battery replacement warranty. Replaces all similar sized 12 Volt 15Ah, 17Ah, 18Ah, 20Ah, and 22Ah batteries. 12V/12 Volt 18Ah/Amp Hour electric scooter, bicycle, and go kart battery. Bolt down connector posts with 6mm bolts. UL® approved. Includes 12 Month battery replacement warranty. 12V/12 Volt 18Ah/Amp Hour electric scooter, bicycle, and go kart battery. 1/4" tab connectors. UL® approved. Includes 12 Month battery replacement warranty. Size: 7-1/8" long x 3" wide x 6-5/8" high (181mm x 76mm x 167mm). 12V/12 Volt 22Ah/Amp Hour electric scooter, bicycle, and go kart battery. Nut and bolt connector posts. UL® approved. Includes 12 Month battery replacement warranty. (181.1mm x 76.5mm x 167mm). 12V/12 Volt 22Ah/Amp Hour electric scooter, bicycle, and go kart battery. Bolt down connector posts with 6mm bolts. UL® approved. Includes 12 Month battery replacement warranty. Electric scooter batteries and electric bicycle batteries can last 2-3 years or more if they are properly cared for and maintained. To get the longest life out of your electric scooter batteries and electric bicycle batteries recharge them after every ride, even very small rides. After short rides you can recharge the batteries immediately, however after long rides it is best to wait around 30 minutes to let the batteries cool down before recharging. Leaving an electric scooter or electric bike battery in a partially discharged state for more than a short amount of time lowers the useful lifespan of the battery. When replacing electric scooter and bicycle batteries replace all of the batteries at the same time and with the same brand of batteries. 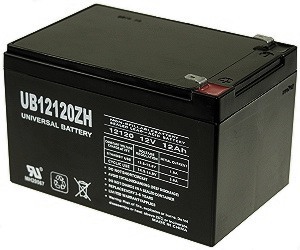 If different brands of scooter batteries are mixed together the different battery chemistries may cause internal oxidation of the batteries and lower the lifespan of the battery pack. When an electric scooter or electric bike is in storage recharge the batteries every month. 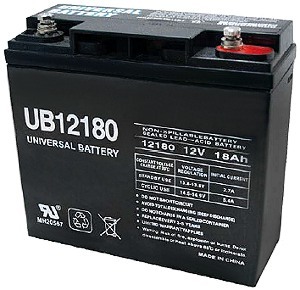 If scooter batteries are not recharged every 30 days the batteries will internally oxidize causing a shortened battery lifespan and a lower mileage range for the vehicle. Electric Scooter Parts sells only the highest quality AGM non-spillable sealed-lead acid (SLA) batteries and battery packs for electric scooters and electric bikes. We stock individual batteries for all electric scooters, bicycles and go karts plus we also stock fully assembled battery packs for Razor, eZip, IZIP, Currie, Schwinn, Mongoose and GT electric scooters, electric bicycles, electric dirt bikes, electric go-karts, electric pocket bikes, and other small ride-on electric vehicles.